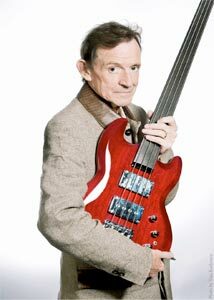 In the always well informed Canadian music magazine Chart Attack Vigg Strubble looks back on the musical influence of the bass guitarist Jack Bruce. Vigg gets emotional when he tries to catch that moment of the 60s in the well known Marquee Club. Vigg continues his story: “It was an astonishing experience to see and hear Jack Bruce playing bass guitar.” Vigg went home. From that time on he knew that there was only one musical instrument which was made for him personally: the bass guitar. And he had to study hard, very hard. Because his musical hero Jack Bruce had also studied at the Royal Scottish Academy of Music and Drama (RSAMD).